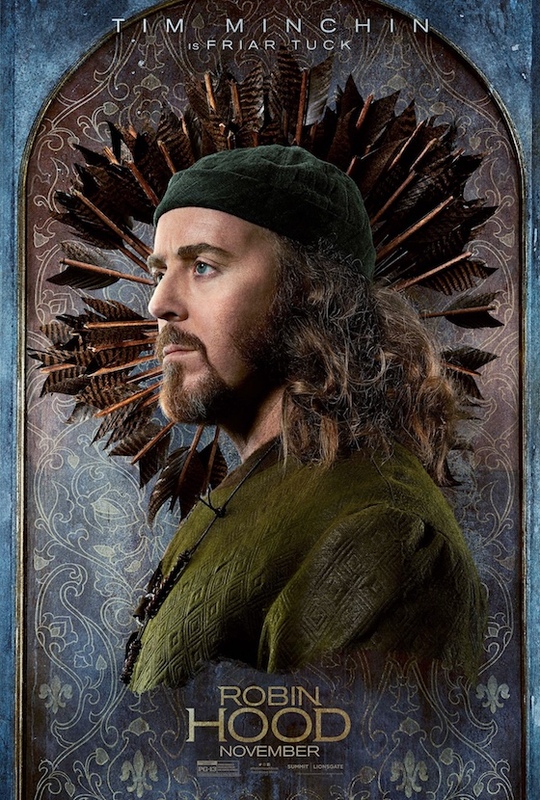 Tim Minchin · There’s a new trailer for the Robin Hood movie with a few glimpses of Tim as Friar Tuck. Out November 2018. There’s a new trailer for the Robin Hood movie with a few glimpses of Tim as Friar Tuck. Out November 2018. If you don’t use Facebook you can find the trailer on Twitter or YouTube. Directed by Otto Bathurst and filmed in Croatia and Hungary, Robin Hood is a gritty new take on the classic story. Taron Egerton will play Robin Hood, with Jamie Foxx as Little John, Eve Hewson as Maid Marian, Jamie Dornan as Will Scarlet and Ben Mendelsohn as Sheriff of Nottingham. IMDb: A war-hardened Crusader and his Moorish commander mount an audacious revolt against the corrupt English crown in a thrilling action-adventure packed with gritty battlefield exploits, mind-blowing fight choreography, and a timeless romance. The film hits movie theatres November 2018. WooHoo! I get to see this next week!! So excited!!! I don’t facebook. Put your trailer somewhere accessible please.